the new neighbours: launch day!! Hooray! 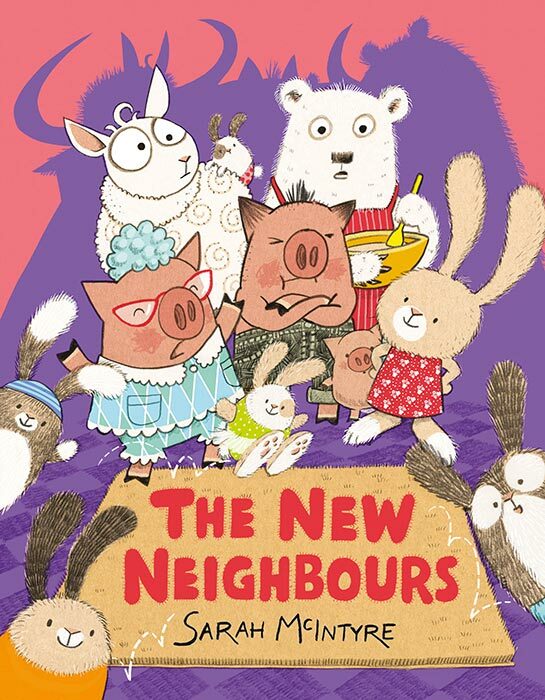 It's LAUNCH DAY for my picture book, The New Neighbours! Big thanks to my editor Alice Corrie, designer Ness Wood, publisher David Fickling, my agents Jodie Hodges & Emily Talbot, and the whole Oxford-based team at David Fickling Books! 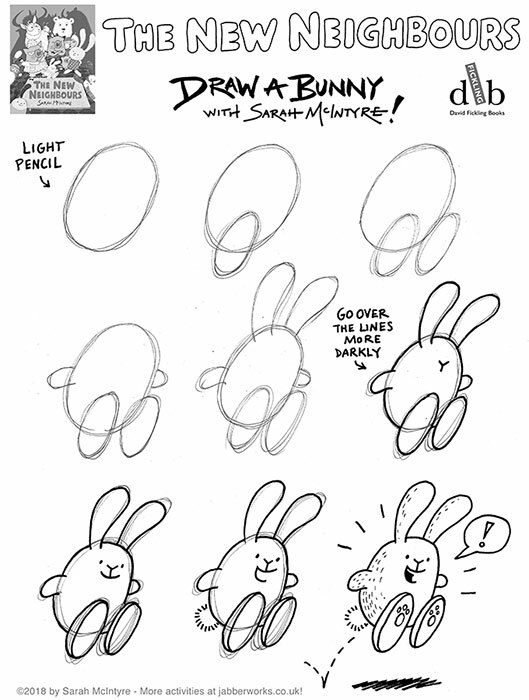 I'm actually doing World Book Day school events (in Great Malvern) today, but here's a new step-by-step drawing tutorial to mark the special day... learn how to draw a bunny! And if you're reading closely, there are some more brand-new activities over on my website if you'd like to take a peek. The book should be on sale in all good bookshops; try to buy it from one of our lovely independent bookshops if you can! 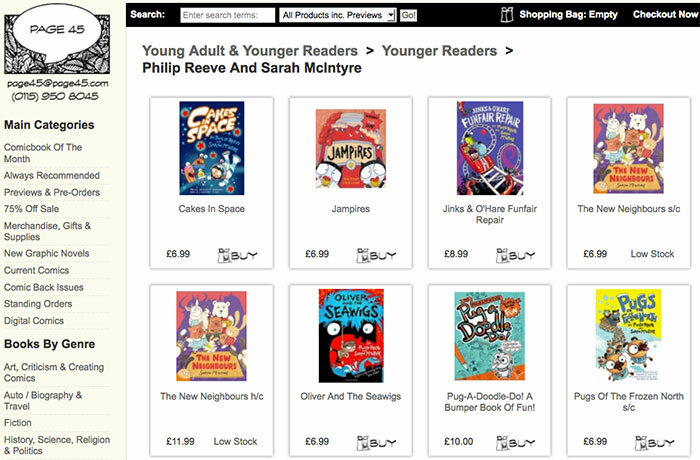 If you're ordering online, Page 45 bookshop in Nottingham are wonderfully reliable and ship both the hardcover and paperback worldwide: visit their online shop here. Want to find out more about The New Neighbours? Here's an article I wrote about the stories that inspired the book, and here's another article about how I went about drawing the pictures.